Have you ever wondered why Exchange 2010 and Exchange 2013 support the creation of an explicit default retention tag just for voicemail? Perhaps not, and certainly not if you are not interested in Unified Messaging and voicemail will never darken the mailboxes of your Exchange server or if you believe that retention policies are the work of a particularly horrible devil who wants to wreak havoc on user mailboxes. 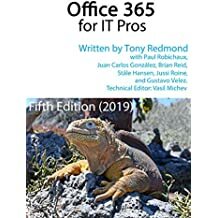 But some, like Paul Robichaux, like Unified Messaging (Paul tells me that he has just finished the chapter on Unified Messaging for Volume 2 of Microsoft Exchange 2013 Inside Out, but I haven’t seen his opus yet). A smaller subset like both Unified Messaging and retention policies or manage organizations where voicemail is stored in Exchange mailboxes that come under the control of retention policies. If you’re in these categories, the special default retention tag for voicemail is of great interest. Exchange 2010 began by setting a rule that retention policies could include a default tag that controls how items are removed from mailboxes and a second default tag that controls how items are archived, if archive mailboxes are in use. Of course, the trick is to move items into the archive before deleting them as it doesn’t make much sense to configure the tags to operate the other way around. A typical setup might then be to have tags to archive items after two years and remove them after five. But then you come to voicemail. The problem here is that people tend to be a little less careful with voicemail than they do when they compose email. In many corporations, it is common practice for executives to use voicemail to communicate between each other when they don’t want the discussions recorded in such a way that the content is exposed to legal discovery. I think this is an understandable stance to take because conversations are less structured and formal than email and the risk exists that something said might be taken out of context if it came to light during a discovery process. Most of the older voicemail systems on the market had pretty rudimentary storage capabilities and voicemail was cleared out after 14 days or so to allow newer messages to be stored. Users got to know and rely on the fact that their conversations would not linger on for extended periods and everyone was happy. And then Exchange 2010 came along. There had been many voicemail integrations with previous versions of Exchange. Companies like Cisco and Nortel had created and sold applications to interact between their PBXs and Exchange to enable the capture and replaying of voice messages. Exchange 2010 changed the game profoundly by driving the cost and complexity of Unified Messaging down to a point where the decision to implement became much easier. Until of course until the topic of voicemail retention surfaced. One CEO of my acquaintance learned about plans to roll out Exchange 2010 Unified Messaging and responded with a four-letter expression of disgust. Even recognizing the value of features such as having voicemail delivered to his mailbox and the content preview, he didn’t want any possibility that executive conversations could be recorded for extended periods. Grudgingly, he allowed that it would be acceptable to implement Exchange 2010 if some mechanism could be put in place to eradicate voicemail as quickly as the current system erased messages. Microsoft must have received similar feedback from other executives because Exchange supports voicemail retention as a special case. No other message class is supported for a default retention tag as “All” is used in every other case to force Exchange to apply the default tag to items that are not controlled by a specific folder or personal tag. Of course, to complete the task the new tag has to be included in a suitable retention policy that is then assigned to mailboxes. The CEO was happy and Exchange 2010 was deployed. I never heard whether any voicemail has ever been involved in a legal discovery since, but I bet that the CEO and the other executives still continue to discuss the deep dark secrets of the corporation as they leave voice messages for each other, if only because they’ve forgotten that their voicemail is now stored by Exchange. This entry was posted in Email, Exchange, Exchange 2010, Exchange 2013 and tagged Exchange 2010, Exchange 2013, retention policies, Retention tag, Unified Messaging, Voicemail. Bookmark the permalink. Great article! I don’t have a way to test this in my lab so hopefully you know, is a user able to override the voicemail tag with a personal tag to keep the voicemail longer than desired? Yes. A personal tag overrides any default tag.